Össur Unloader® Hip – The world’s first brace for patients with Hip Osteoarthritis. 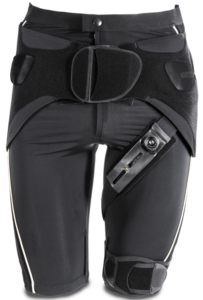 The Unloader® Hip brace is designed to reduce pain by optimizing load dispersion and proprioceptive control for patients suffering from mild to moderate hip osteoarthritis (OA), thus contributing to hip stability and improved mobility. Optimum Comfort With its breathable Lycra material and elastic sections, the Unloader Hip provides a comfortable and snug fit – allowing a discreet fit under clothing.